PANDORA Mouse and Balloon Charm. 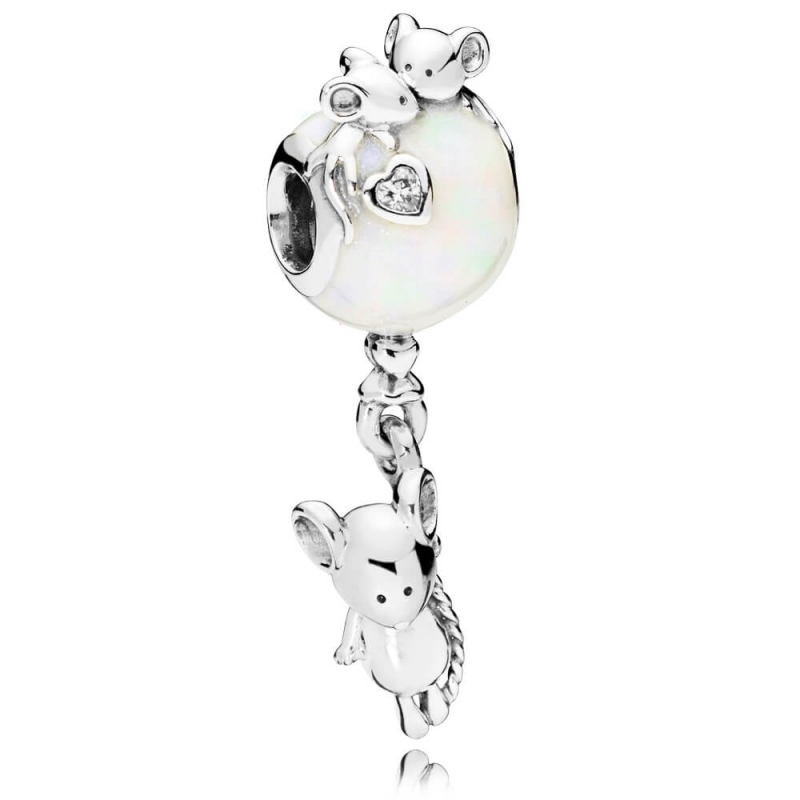 Add a touch of playful cuteness with this adorable character charm. Portraying a sweetly detailed mouse floating from a pearlescent enamel balloon and two little mice friends tagging along for the ride, it's so cute it'll always bring you cheer.